Psychic Victoria Gross joins Thorne & Cross: Haunted Nights LIVE! 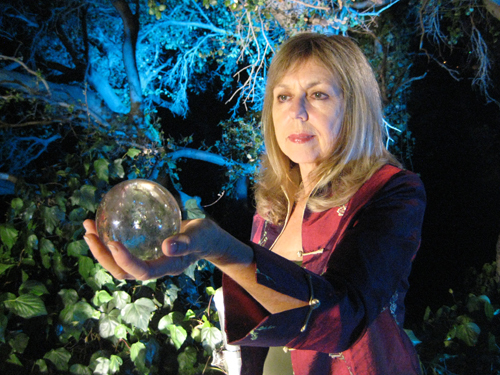 Victoria Gross is a clairvoyant and medium who has been doing readings professionally since 1987. Her background is in Tarot, Palmistry, Mediumship, Crystal Gazing and Psychometry. She is 2nd degree Reiki and Certified in Magnified Healing. Victoria is also a Paranormal Investigator and author of the book Ghosts of Orange County. In 2009-10 she was the lead Story Producer on the two Bio/A&E specials and first season of My Ghost Story. She is Lead Story Producer for the pilot called Casefiles Unknown. Besides doing psychic readings, she teaches and gives seminars on the psychic arts. She also has volunteered for the past 15 years on the “Haunted Fullerton Walking Tour” which is a fundraiser the Fullerton Museum.